In the 64 years of its existence, Pan Am grew from an airline with a single 80-mile route from Key West to Havana, to a global conglomerate that would define the international aviation industry and become an icon of American business. This company’s odyssey inspired breathtaking devotion from employees and customers, and equally strong jealousy from its rivals. There was also a host of well known individuals whose lives and careers were a part of Pan Am, including Charles Lindbergh who was a survey pilot, technical advisor, and board member for the company for 47 years. At the center of Pan Am’s history was the brilliant, enigmatic figure of Juan Trippe. Few American businessmen have ever exceeded his skill at guiding a company to greatness. His vision for the future of aviation would make Pan Am the world’s most successful pioneer of commercial aviation. The story of Pan Am is a quintessential tale of empire building, full of the romance of the Clipper ships, the intrigue of international politics, and the adventure of discovery and innovation not unlike the early space program. Pan Am not only shaped the development of commercial aviation, it changedAmerica by shrinking the globe and for the first time allowed all Americans to become global citizens. Pan Am was more than a company… it was a religion. At the dramatic core of this story, however, is tragedy. Pan Am’s early position as the sole U.S. international airline, so important in its struggle for growth, would become its greatest impediment when American sentiment turned against this idea. Like Icarus, Pan Am had flown too high. After Trippe retired from active management of the company, the world was profoundly changing. Recession, terrorism, and missed business opportunities all contributed to ending the company’s remarkable history in bankruptcy court. The Pan Am Documentary Project will document this dramatic and highly visual story with a combination of media. The Project premieres with the release of a two-hour feature documentary film entitled, On the Wings of Giants: The Odyssey of Pan American World Airways. The producers will seek both an initial theatrical release as well as broadcast distribution on domestic and international networks. The film will be complimented with a program of educational outreach that includes a website featuring additional details about this complex and important story. 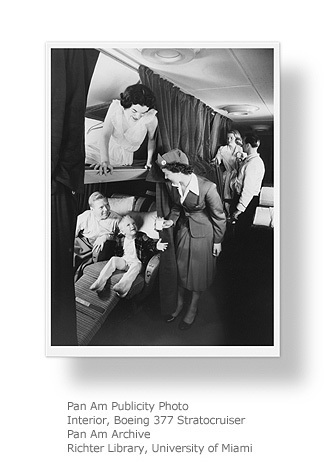 The ultimate goal of the Project is to present both the romance and historical importance of commercial aviation for contemporary audiences, how it has changed, and continues to change their lives, how Pan Am was at the center of this tremendous revolution, and why even after nearly 25 years of absence, Pan American World Airways still matters.